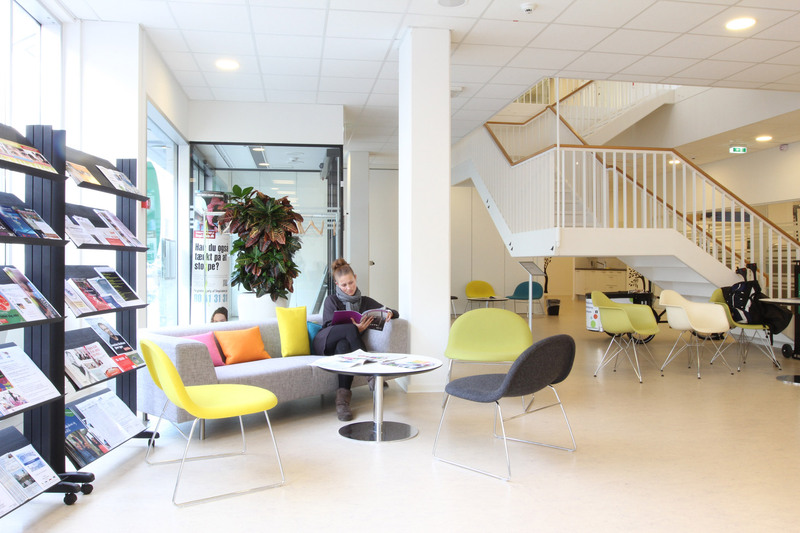 The office building was converted to a healthcare centre and involved close dialogue with the owners and new tenants. The architectural concept was to create an active and contemporary healthcare centre with an inviting and warm atmosphere. An internal open staircase was established to draw more light into the building and, together with a new lift, created efficient access and circulation. A large roof garden was created both for relaxation and training purposes. 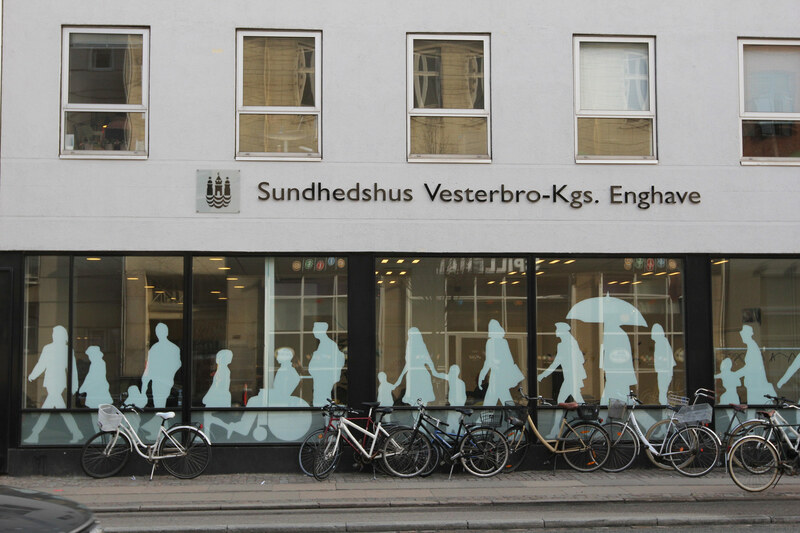 Public activities such as gym and meeting areas were located on the ground floor and an open facade established towards Vesterbrogade to invite people in. More private activities such as treatment rooms, consultation rooms, a kitchen for cooking classes, doctors’ clinics and offices were located on the upper floors and connected by a string of informal meeting and lounge areas. The whole centre was linked by a clear and colorful interior, drawing on elements from nature.